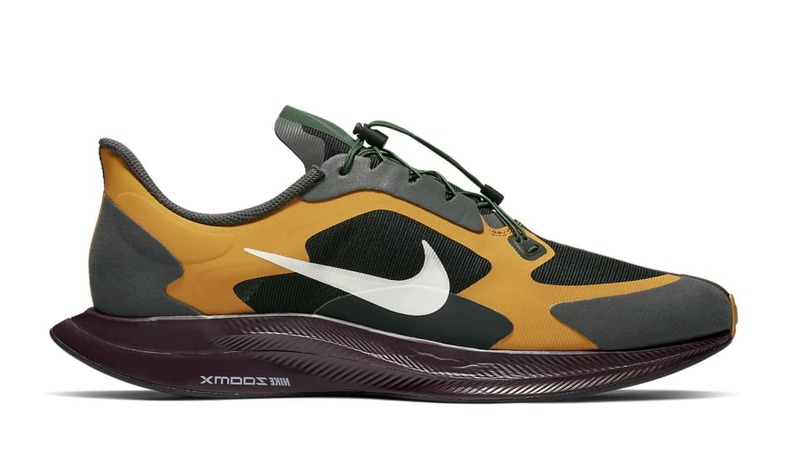 The Undercover Gyakusou x Nike Zoom Pegasus will sport a black mesh upper that's paired with Gold Dart overlays with grey panels appearing on the toe, heel, eyelets, and side panel. Green accents appear on the toggle lacing system, while a large white Swoosh is printed on the lateral side. Release date is Feb. 28, 2019.